Lisa Torres Allen has her 3 year anniversary in MLSP in April, and she's already crossed the $300K mark! That's what happens when you're able to build a personal brand with your home business leading with value. Lisa Torres has built a brand and people flock to be on her team, because they know they're following a TRUE LEADER! Antonio Starr has lived squarely up to his last name. This guy is a star not only in our community, but amongst the countless people he's helped along the way in the industry. If you're inside the MLSP community then you know the value and inspiration this guy brings to our family. We've loved watching him grow into the rock star that he is! 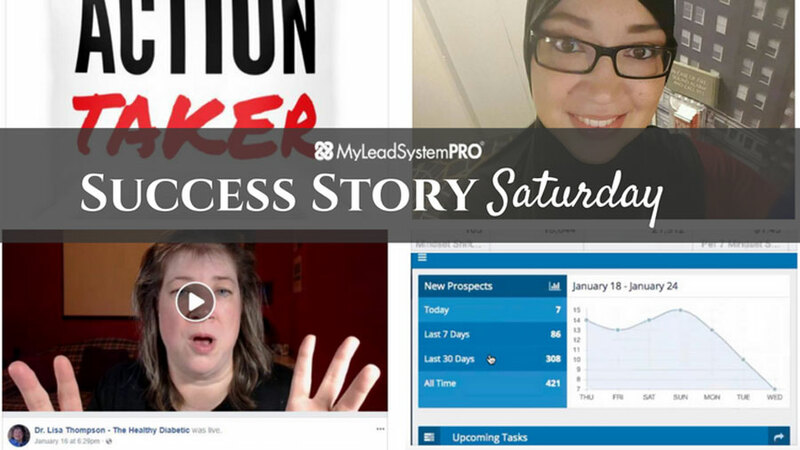 Lisa Pavelich put Erin Birch's Facebook Messenger training right to work and got immediate results. That's what happens when you take action right away. He's Getting Messenger Leads for $0.66 Each? Antonio Thompson is killing it with FB Messenger. By that we mean he's sweeping up leads for $0.66 to $1.27 each. Joe Stukenborg is making some waves with his target audience. 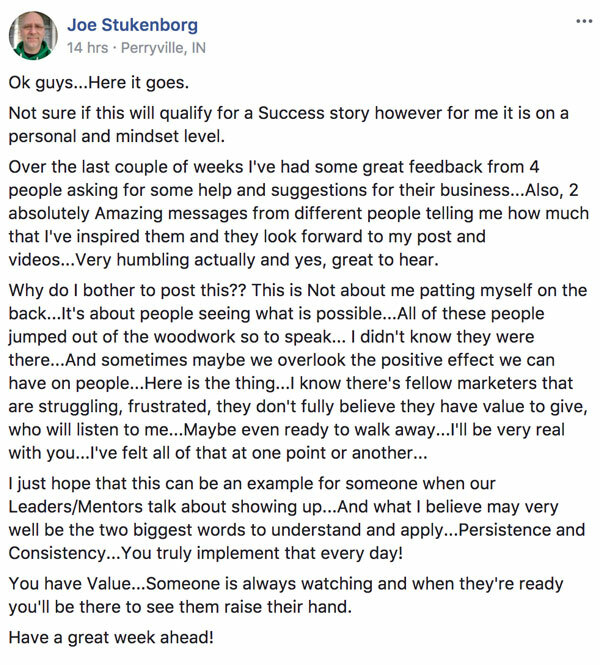 You'll want to read his entire post below, especially if you're someone who's not feeling like you've got anything to add to the marketplace. 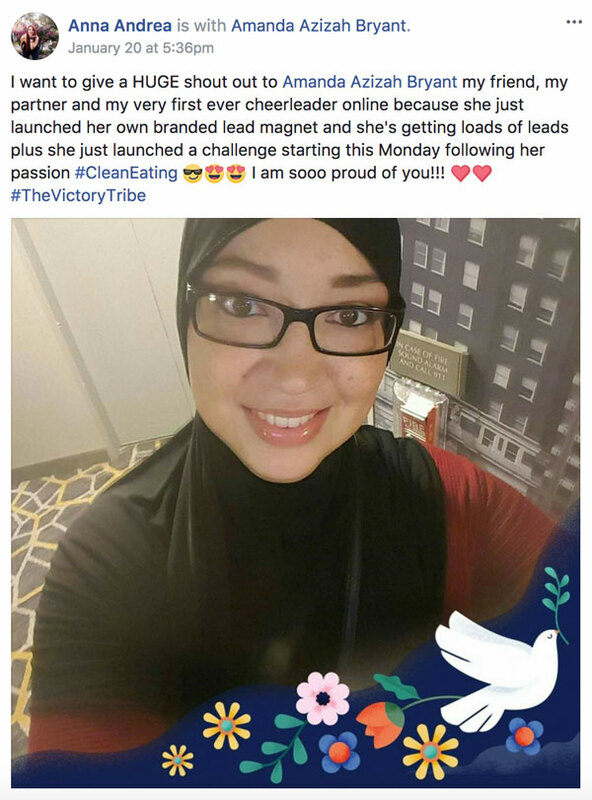 Amanda Azizah Bryant took things to the next level in her business by releasing her first lead magnet. Anna Andrea was so proud of her and was cheering her on inside the MLSP Facebook group this week. That's what happens in this amazing community of ours. Not to mention, Amanda just launched a Facebook challenge following her passion! Things are getting exciting and we're so glad we get to see it in action! Paul Maynard was gone for a while as the world kicked him around. But he didn't let that stop him. He got up and decided to reinvent himself by applying what he's learned here at MLSP. Will this be the comeback story of the year? Angie Frontera got snowed in, and then got to work. Her 1st engagement ad is killing it. And now she's got tons of engagement for her business! BOOM! 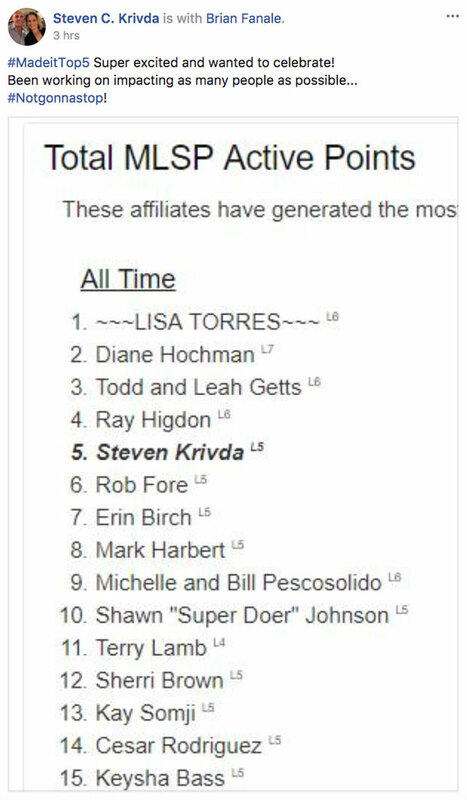 Steve Krivda hit #5 on the MLSP Leader Boards for ALL TIME ACTIVE POINTS! When you're impacting as many people as this guy, good things can't help but happen. Keep your eye on Steve. He's a guy who understands that helping others is the key to success, and he implements this every single day inside our community and industry. This is someone you want to emulate for sure! Shoutout! She Added 900 Instagram Followers This Month! 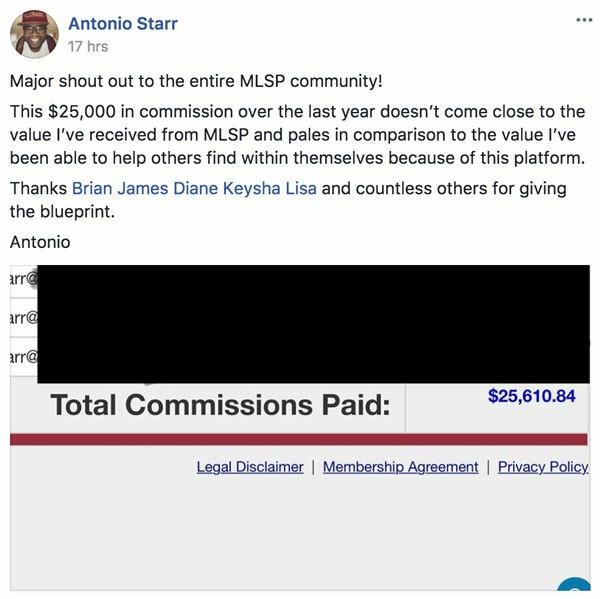 Liv Blalock just got a big shoutout from Steve Krivda inside the MLSP Community this week! Her Instagram strategy is obviously working like gang-busters! Nazreen Zaman was completely lost when she joined MLSP. 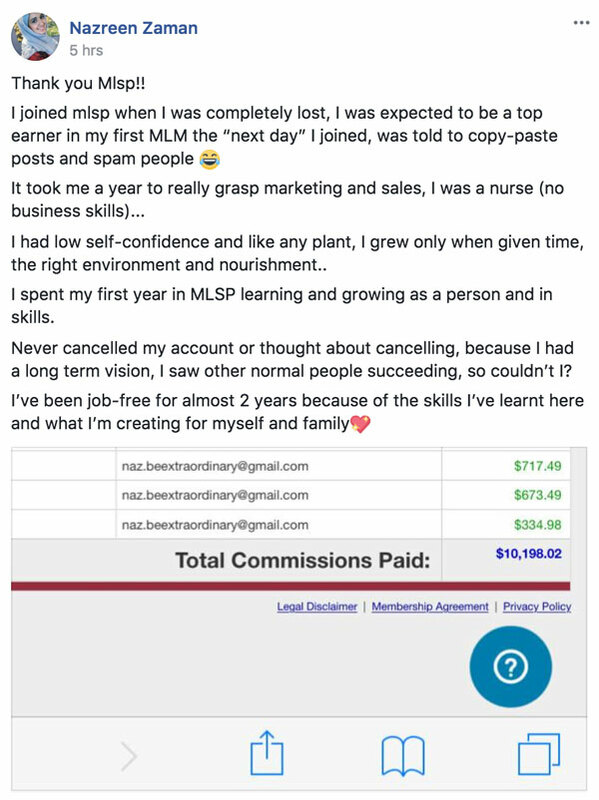 It took her a bit to grow into her dream, and now this little side income has hit over $10K in total commissions paid! Leah Hite-Serrano received a well-deserved shout out from Steve Krivda this week inside the MLSP Community. 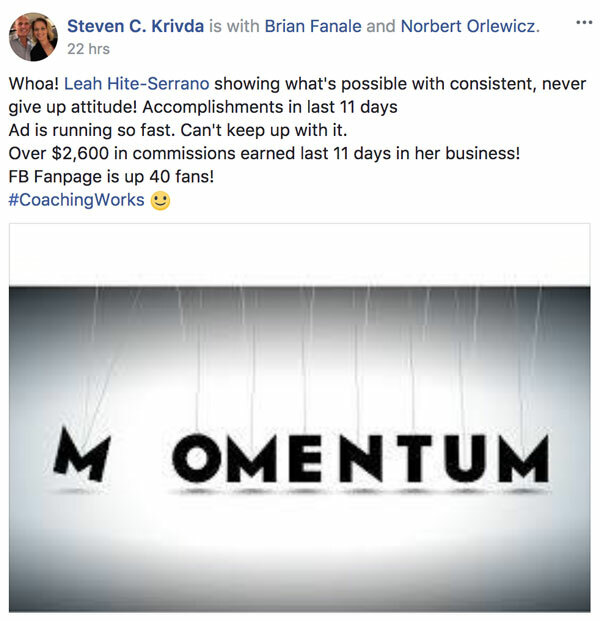 It looks like coaching, along with her social media ads are paying off (literally) BIG TIME! Profiting while she grows her Fan Page! Colleen Burns is shocked and elated at the same time! 1000 views in a day is huge! Just imagine 1K different people looking at your content, and your offers. Colleen has a blogging strategy that is pulling in the eye-balls! Great work! There's gold in what's below. 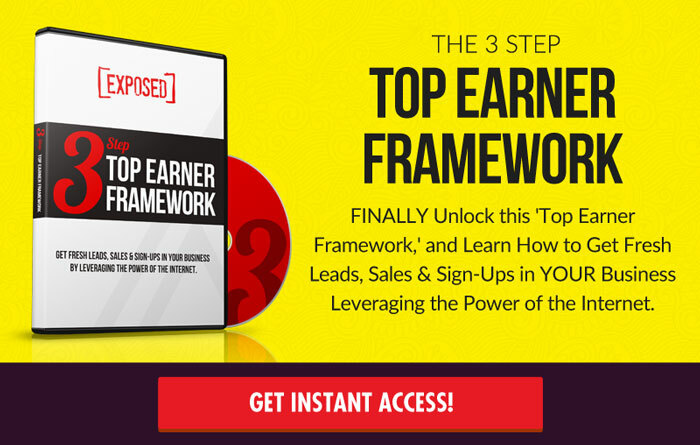 People are revealing how they're getting results with their home business. Don't try to reinvent the wheel. Find out what's working now and tap into it! The clues below will help inspire you and get you started!